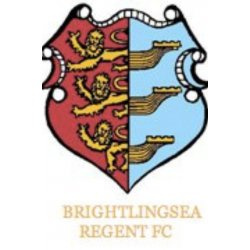 Brightlingsea Regent are having a magnificent season. In thirteenth place in the Bostik Premier Division and still with a chance of making the playoffs, the club have had good runs in both FA Cup and FA Trophy- and yet, with their average attendance ranking them twenty first of our top flight clubs, it's fair to say that they are punching above their weight. Despite this season's success, however, gates are down, and the club hierarchy this morning announced that, unless new investment was forthcoming, the playing budget would need to be cut next season. That causes something of a problem for boss Tom Rothery, who explained at a recent forum that a budget cut would force him to leave his post. "Myself and treasurer Phil Calver had a very frank discussion with Tom and (assistant manager) Pip (Boyland) a few weeks ago about the financial integrity of the club and the way forward for the 2019/20 season. It saddens me to have to address these issues but we have to be realistic and practical with regards to the future of the club." It's sadly proving to be not the case, either through attendances, which are down, or corporate interest from local business. The majority of our sponsorship finance comes from out of Brightlingsea. "It's been said that maybe it's not possible for a town the size of ours to sustain a football club at this level. That remains to be seen but I must also stress that we're extremely grateful to the people and businesses of the town who do get behind the club." "It's tough with the budget at its current level and if it went down again it would be completely unmanageable. I already feel I'm operating with one hand tied behind my back- and if you stand still in football, you're going backwards. I can't work like that. I have to feel I can progress and take the club forward. I want to grow, build and improve on what we achieve this season but with a lower budget I wouldn't consider that possible. As such, it would be better for me to step aside and let the club find someone with a different opinion, believing they could be competitive, or someone to come on board with money." Regent travel to form club Carshalton Athletic on Saturday. After that they have six fixtures before the end of the campaign, almost all of them against sides with promotion ambitions or fighting against relegation. It is to be hoped that these fixtures will capture the imagination of local audiences and local businesses, bringing in larger crowds and encouraging more investment- as if not fans at the Taydal may find themselves watching a different side under a different manager next season.